The name of the city translates as ‘Defeat of Siam’ and is a reference to the Khmer defeat of Thai forces in the 17th century. 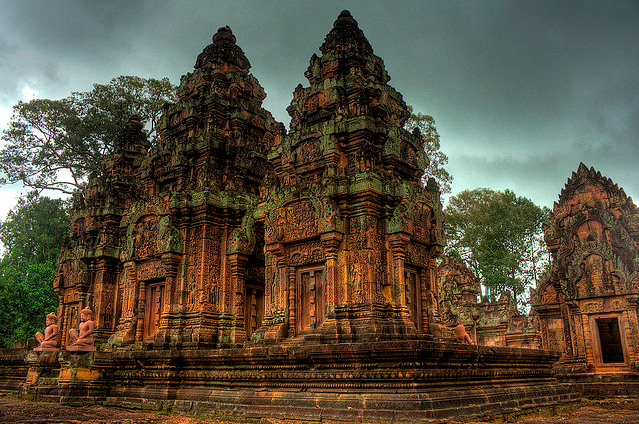 The Thais took the city back again in 1784 and continued as rulers until the French colonized Cambodia in 1907. 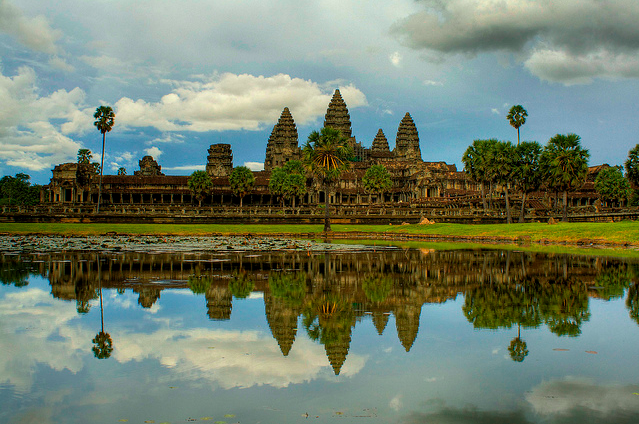 The proximity of Siem Reap to the hauntingly beautiful 12th century temple complex at Angkor Wat is the main reason for the huge influx of visitors to the region in recent years; in fact over a million visitors pass through the city every year. For those who decide to explore Siem Reap and are looking to find cheap hotels for their stay, prices can start as low as $3.00 per day for guesthouses run by local families to small budget hotels from $20 a day upwards. Overall, there is a huge range of prices and accommodation to be found here. A perfect day could encompass history, nature and the local culture. Sadly, Cambodia is as famous for its horrendous war, under the regime of the Khmer Rouge, as it is for its beauty and landscape. As a result, many travelers choose to pay a visit to the Cambodia Land Mine Museum where there is a permanent exhibition of these destructive weapons. Proceeds from the admission fees go to the Cambodian Mine Awareness Campaign. For a little light relief after visiting the Mine Museum a trip to Phnom Kulen and its magnificent 20m high waterfall is strongly advised. A reclining Buddha gracefully guards the area and there are many nearby ruins, some of which have yet to be explored. Cambodia is famous for its villages erected on stilts; and just 13 miles away from Siem Reap there is Kampong Phluk, which is perched over the waters of the dazzling Lake Tonle Sap. The perfect day could end with a wonderful meal at the ‘Sugar Palm’ restaurant, famous for its selection of local delicacies. Anyone thinking of travelling to this part of Cambodia should check out the weather before making any firm plans. Temperatures in March, April and May can reach an uncomfortable 104°F, which is hardly ideal for an arduous touring expedition. The wettest months are between August and September, late fall and early winter is the most comfortable time to go exploring. Visitors who are travelling from Phnom Penh to Siem Reap will find that a boat trip might prove to be the most interesting mode of transport. The city also has its own airport for international flights from Bangkok and other destinations throughout South East Asia. For daily travel around the city, try out the local rickshaws or ‘tuk-tuks’; though be sure that the fare is negotiated at the start of the ride. Taxis abound in the city, as do buses.